Alex joined the School of Geography and the Environment in January 2017 having previously taught at the University of Nottingham and Durham University. Alex has a BA (Hons, first class) and PhD from the University of British Columbia. Alex's research interests combine cultural and historical geography and urban studies with a commitment to experimental artistic practices and grassroots social activism. His work explores, in particular, the city as a site of political contestation drawing on a range of methods (archival, ethnographic and participatory). For the past 15 years, Alex has conducted extensive fieldwork in Germany (most notably in Berlin). More recently, he has worked across Europe as well as North America. 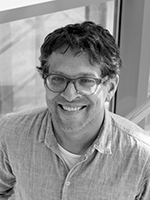 Alex has published widely in major geography and other interdisciplinary journals. 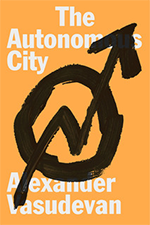 He is the author of The Autonomous City: A History of Urban Squatting (London: Verso, 2017), Metropolitan Preoccupations: The Spatial Politics of Squatting in Berlin (Oxford: Wiley-Blackwell, 2015) and co-editor of Geographies of Forced Evictions: Dispossession, Violence, Insecurity (London: Palgrave). He has written for the Guardian, openDemocracy and New Left Project. Alex's current research focuses on the history of squatting in Europe and North America and its relationship to broader currents in contemporary urban thinking. He has recently completed two books on the subject: a monograph on the history of squatting and radical housing politics in Berlin (Metropolitan Preoccupations: The Spatial Politics of Squatting in Berlin) and a more popular history on the subject (The Autonomous City: A History of Urban Squatting). Research for these projects was supported by the British Academy. 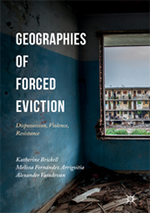 It is, moreover, in this context, that Alex completed a collaborative project with Katherine Brickell (Royal Holloway) and Melissa Fernández Arrigoitia (Lancaster) on the global geographies of forced evictions. This project culminated in the recent publication of an edited collection (Geographies of Forced Evictions: Dispossession, Violence, Insecurity). A longstanding commitment to the study of housing insecurity has also informed Alex's recent work on urban precarity. Alex recently completed a British Academy Mid-Career Fellowship in which he explored the geographical dimensions of precarious living in contemporary European cities and its impact on how we think about and inhabit cities. Alex is finishing a number of writing projects related to the Fellowship. He has also begun work on a documentary film exploring the history of housing struggles in West Berlin in the 1960s and 1970s. Alex is trained as a cultural and historical geographer and has longstanding interests in the historical geographies of performance and contemporary artistic practice. He has written extensively on the history of Weimar Berlin as a space of social, cultural and political experimentation. He continues to work on the contemporary arts and has collaborated with artists in a number of different contexts. Alex is a member of the editorial collective at Environment and Planning D: Society and Space. Alex delivers lectures for the Preliminary Examination and the Final Honours School. He convenes an FHS option on "New Approaches to Urban Geography." At Christ Church, Alex and his colleagues are responsible for teaching students across the breadth of geographical topics for the Preliminary Examination and the Final Honours School. Alex teaches on the MSc in Nature, Society and Environmental Governance. He convenes and teaches on the "Urban Natures" core course. Alex welcomes enquiries from individuals wishing to undertake doctoral or post-doctoral research in the following, or related, areas: histories and geographies of urban protest; critical urbanisms and new social movements; contemporary urban theory; global geographies of squatting; alternative urbanisms and radical housing politics; the politics of precarity; cultural geography, environmental humanities and artistic practice; historical geographies of performance; German studies. Brickell, K., Fernandez Arrigoitia, M. and Vasudevan, A. (eds.) (2017) Geographies of Forced Eviction: Dispossession, Violence, Resistance. Palgrave Macmillan UK. ISBN: 978-1-137-51126-3. Vasudevan, A. (2017) The Autonomous City: A History of Urban Squatting. Verso Books, London. pp. 304. ISBN: 9781781687864. Vasudevan, A. 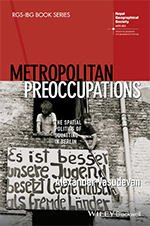 (2015) Metropolitan Preoccupations: The Spatial Politics of Squatting in Berlin. Wiley-Blackwell, Oxford. pp. 256. ISBN: 978-1-118-75059-9. RGS-IBG Book Series. Featherstone, D., Wilson, H.F., Naumann, M., Crossan, J., Sanyal, R. and Vasudevan, A. (2017) Book review symposium: Metropolitan Preoccupations: The Spatial Politics of Squatting in Berlin. Urban Studies, 54(1): 292-308. Ferreri, M., Dawson, G. and Vasudevan, A. (2017) Living precariously: property guardianship and the flexible city. Transactions of the Institute of British Geographers, 42(2): 246-259. Vasudevan, A. (2017) Squatting the city: on developing alternatives to mainstream forms of urban regeneration. The Architechtural Review. Vasudevan, A. (2015) The Autonomous City: Towards a Critical Geography of Occupation. Progress in Human Geography, 39(3): 316-337. Vasudevan, A. (2015) The Makeshift City: Towards a Global Geography of Squatting. Progress in Human Geography, 39(3): 338-359. Jeffrey, A., McFarlane, C. and Vasudevan, A. (2012) Rethinking Enclosure: Space, Subjectivity and the Commons. Antipode, 44(4): 1247-1267. Vasudevan, A. (2011) Dramaturgies of Dissent: The Spatial Politics of Squatting in Berlin, 1968 -. Social and Cultural Geography, 12(3): 283-303. Vasudevan, A. (2010) Photography and Mindedness. Oxford Art Journal, 33(2): 252-257. Jeffrey, A., McFarlane, C. and Vasudevan, A. (2008) Guest Editors' Introduction: Debating Capital, Spectacle, and Modernity. Public Culture, 20(3): 531-538. Jeffrey, A., McFarlane, C. and Vasudevan, A. (2008) Introduction: A symposium on Global Shadows: Africa in the Neoliberal World Order. Singapore Journal of Tropical Geography, 29(3): 251-253. Vasudevan, A. (2008) A Negative Dialectics of the Arts. Oxford Art Journal, 31(2): 300-304. Vasudevan, A., McFarlane, C. and Jeffrey, A. (2008) Spaces of Enclosure. Geoforum, 39(5): 1641-1646. Vasudevan, A. (2007) Symptomatic Acts, Experimental Embodiments: Theatres of Scientific Protest in Interwar Germany. Environment and Planning A, 39(8): 1812-1837. Vasudevan, A. (2007) The ‘Photographer of Modern Life’: Jeff Wall’s Photographic Materialism. Cultural Geographies, 14(4): 563-588. Vasudevan, A. (2006) Experimental Urbanisms: Psychotechnik in Weimar Berlin, 1919-1933. Environment and Planning D: Society and Space, 24(6): 799-826. Vasudevan, A. (2003) Writing the Asphalt Jungle: Berlin and the Performance of Classical German Modernity, 1900–1933. Environment and Planning D: Society and Space, 21(2): 169-184. Jeffrey, A., McFarlane, C. and Vasudevan, A. (2008) AAG special panel discussion of James Ferguson’s Global Shadows. Singapore Journal of Tropical Geography, 29(3): 251-273. Jeffrey, A., McFarlane, C. and Vasudevan, A. (2008) Special Dossier on Afflicted Powers by Retort. Public Culture, 20(3): 531-593. Brickell, K., Fernández Arrigoitia, M. and Vasudevan, A. (2017) Geographies of Forced Eviction: Dispossession, Violence and Resistance. Chapter 1 in, Brickell, K., Fernández Arrigoitia, M. and Vasudevan, A. (eds.) Geographies of Forced Eviction: Dispossession, Violence and Resistance. Palgrave, London. pp. 1-23. ISBN: 978-1-137-51127-0. Vasudevan, A. (2017) Zwangsräumungen in Berlin: Towards an Historical Geography of Dispossession*. Chapter 9 in, Brickell, K., Fernández Arrigoitia, M. and Vasudevan, A. (eds.) Geographies of Forced Eviction: Dispossession, Violence, Resistance. Palgrave Macmillan UK. pp. 191-213. ISBN: 978-1-137-51127-0. Vasudevan, A. (2015) Landscape Artifice: The Photography of Beate Gütschow. In, Hawkins, H. and Straughan, E. (eds.) Geographical Aesthetics: Imagining Space, Staging Encounters. Routledge, London. pp. 137-174. ISBN: 9781409448013. Vasudevan, A. (2014) Autonomous Urbanisms and the Right to the City: Squatting and the Production of the Urban Commons in Berlin. Chapter 12 in, Bradley, K. and Hedrén, J. (eds.) Green Utopianism: Perspectives, Politics and Micro-Practices. Routledge, London. pp. 205-225. ISBN: 9781138954021. Vasudevan, A. (2014) Autonomous Urbanisms and the Right to the City: The Spatial Politics of Squatting in Berlin, 1968 -. In, van der Steen, B., Katzeff, A. and van Hoogenhuijze, L. (eds.) The City Is Ours: Squatting and Autonomous Movements in Europe from the 1970s to the Present. PM Press, San Francisco. pp. 131-151. ISBN: 978-1-60486-683-4. [a version of this article has been translated into Polish as "Autonomiczna miejskość I prawo do miasta: Polityka przestrzenna dotycząca skłotingu w Berlinie (1968 - 2012)." In, Fundacja Bęc Zmiana (eds.) My I oni (Warszawa: Fundacja Bęc Zmiana, 2014), pp. 156-181]. McFarlane, C. and Vasudevan, A. (2013) Informal Infrastructures. Chapter 24 in, Adey, P., Bissell, D., Hannam, K., Merriman, P. and Sheller, M. (eds.) The Routledge Handbook of Mobilities. Routledge, London. pp. 256-264. ISBN: 9781138071445. Legg, S. and Vasudevan, A. (2011) Introduction: Geographies of the Nomos. Chapter 1 in, Legg, S. (ed.) Spatiality, Sovereignty and Carl Schmitt: Geographies of the Nomos. Routledge, London. pp. 1-18. ISBN: 9780415522861. Vasudevan, A. (2010) Testing Times: Experimental Counter-Conduct in Interwar Germany. Chapter 10 in, Meusburger, P., Livingstone, D. and Jöns, H. (eds.) Geographies of Science. Springer, Dordrecht. pp. 199-216. ISBN: 978-90-481-8611-2. Jeffrey, A., McFarlane, C. and Vasudevan, A. (2007) A Review of: “Spectacle, State, Modernity: A Commentary on Retort's Afflicted Powers”. Geopolitics, 12(1): 206-222. Joan Fontcuberta, Datascapes (Nottingham: Djanogly Art Gallery, 2009). The catalogue was produced to accompany an exhibition that was held at the Djanogly Art Gallery between 25 April and 14 June, 2009. What Squatting Can Teach Us About Wasted Urban Space. Interview with Laura Bliss in Citylab (The Atlantic), February 17, 2017. Schwarzwohnen: The Spatial Politics of Squatting in East Berlin. Cities in Conflict series on Open Democracy, October 21, 2013. Reclaiming Life in the Precarious City. Cities in Conflict series on Open Democracy, June 3, 2013. "Legal Activism: The Spatial Politics of Squatting in the UK." [with SQUASH] in Shift Magazine, October 2011. "Surface Geographies: Between Landscape and Photography." In, A. Juneau et al. (eds.) (2010) surface. YVH Press: Great Yarmouth, n.p. "The Power of Failure." Brief Catalogue essay accompanying Short Fall, an exhibition at the Hand and Heart Gallery, Nottingham (curated by Jeffrey Baker). The Sinister Logic Behind Criminalising Squatting. The Guardian, November 3, 2011. Criminalising Squatting Would Threaten our Rights. The Guardian, June 22, 2011. Proyecto Per�odico: Manifesta. La Verdad, November 21, 2010.